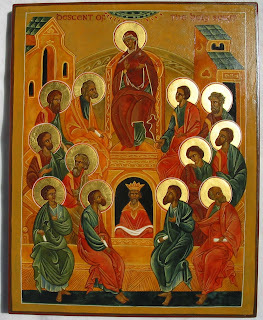 Since Easter the first readings have been taken from the Acts of the Apostles. Those responsible for the arrangement and the content of our lectionary must have been truly inspired. We have been recalling the early days of the Church, its staggering growth, juxtaposed against a multitude of sufferings. All this was seen by St. Luke, the author of this remarkable book, as a direct result of that memorable day of Pentecost. The secret of their resilience was not found in the noble human spirit, it sprang from the power of the Holy Spirit. Thus, the Acts of the Apostles makes great reading, but it is not meant to be nostalgic and sentimental. Rather the stories of conversions, preachings, missionary journeys and rapid church growth are there to inspire us — for we too have received the same Holy Spirit. Without the Holy Spirit God is far away. Christian loving a slave mentality. The cosmos is resurrected and grows with the birth pangs of the kingdom. Therefore, the Church without the Holy Spirit is not the Church. In the Holy Spirit the Church “lives and moves and has its being”. It is sad that so many individual believers live as if the Holy Spirit had never come, to treat the Church as a purely human institution that either needs to be reinvented to bring it into the twenty first century or has to be safeguarded as if it has fallen into unredeemable heresy. There is also a great temptation to be in the grips of two extremes that confuses the relationship between the Spirit and the Church. On the one hand, we have a humanism that excludes the activity of the Spirit from the Church, and on the other hand, we have a pietism that reduces the activity of the Spirit to some form of emotionalism. In a world that has grown accustomed to defining every issue according the human categories, the members of the Church are tempted to follow suit with little discernment between being "in the Holy Spirit" and being "without the Holy Spirit". What we often do as a Church is often governed by principles of utility, expediency, efficiency, suitability, and marketability, rather than just being faithful to the voice of the Holy Spirit who continues to communicate the will of the Father through the revelation of the Son. In fact, anyone caught discussing the role of the Holy Spirit in the decision-making process risk being accused of over-simplification. On the other end of the spectrum, with the rise of Pentecostalism and its influence on Catholic Culture and ecclesial communities, the presence of Spirit is often mistaken for emotional hype. Here, reason is subjected to suspicion and those who caution prudence often find themselves accused of being faithless. We fail to remember and recognise that there is no opposition between faith and reason and that the presence of the Holy Spirit is discerned from the power of love, the strength of faith, and the experience of joy in the midst of hardship and persecution. Since he assumed his office, Pope Francis has preached - by word and deed - a dynamic Catholic faith and a Church that must be passionate with the mission of evangelisation. This is a Pope who believes that the Church is driven by the Holy Spirit and God's love, not by bureaucrats or militants. He calls us to remember this simple truth, a truth that is often forgotten when we place so much trust in our own cleverness and devices, that the power of the Holy Spirit is available today for all believers just as it was in the early Church. It is the same Holy Spirit who always calls the Church to authentic renewal. The Pope adds, that at times, “the Holy Spirit upsets us because it moves us, it makes us walk, it pushes the Church forward.” But the problem is, according to him, we want to “calm down the Holy Spirit, we want to tame it and this is wrong, because the Holy Spirit is the strength of God, it's what gives us the strength to go forward.” Our first reaction is never to resist the pull of the Holy Spirit but to submit. 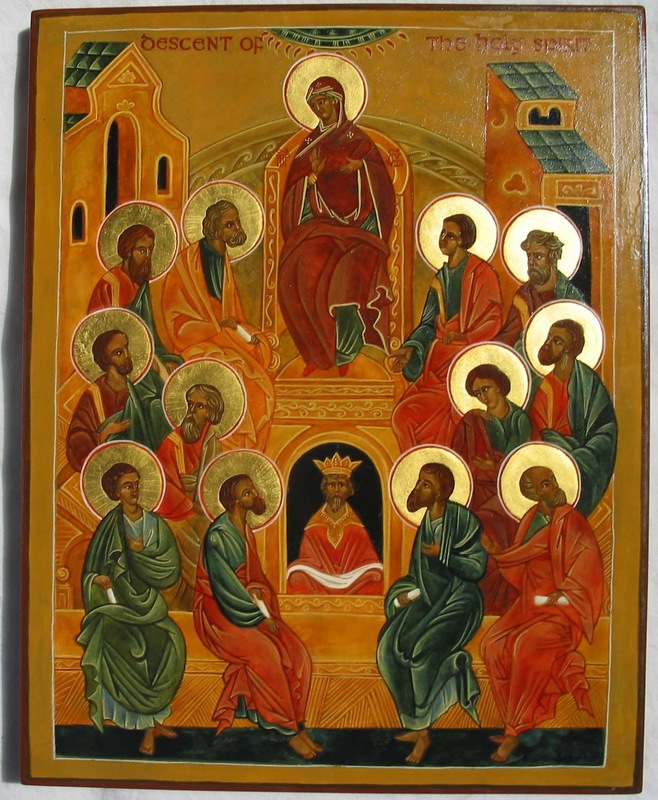 Like the apostles who were gathered in continuous prayer together with Mary the Mother of the Lord and with the other disciples, we confidently hope and pray that we too will experience a new Pentecost, a new outpouring of the Holy Spirit, and then we, like Peter and the first apostles, will be able to go out and share the gift of our faith and our hope with a world that needs to be reminded that God has not abandoned them, that he continues guide them, protect them, and strengthen them through the power of the Spirit. Thank You Father. May our faith co-exist with reason and may the Holy Spirit direct each of us to always do His will. Thank you for this Pentecostal homily.